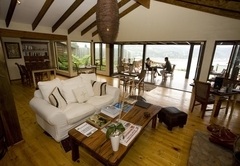 Elephant Hide of Knysna Guest Lodge is one of the highly recommended Knysna guest houses and provides accommodation in 5 guest rooms for tourists visiting the Garden Route region. 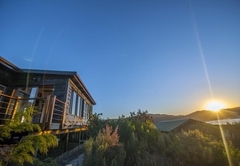 Situated on top of the Welbedacht Cliff Tops 3km from Knysna Town in the Garden Route, the Lodge overlooks the Knysna Lagoon and the Outeniqua mountains. The theme of the Lodge is one based on natural beauty with stone and wood architecture combining to give that comfortable earth feel. 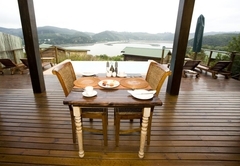 Four of the suites have magical views onto the Knysna lagoon from every corner of the room. 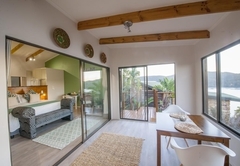 The fifth suite while still enjoying lagoon views is embedded in indigenous “fynbos” surroundings attracting numerous bird species and giving that “hidden away” feeling. Enjoy a relaxing spa-bath while gazing into infinity. 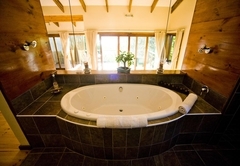 All the suites have double showers with views and are private. 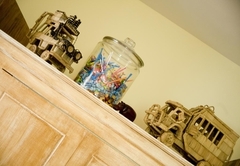 Two suites can be transformed into family rooms sleeping two adults and two children. 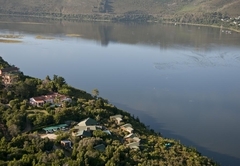 Champagne and oysters, sunset cruises and sundowners on the deck around the swimming pool are a few of the experiences to look forward to. 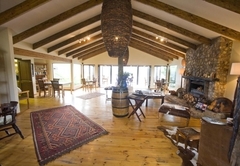 The superbly decorated lounge and dining room with fire place overlook the Knysna lagoon. 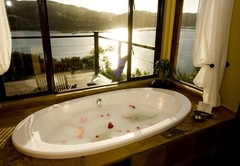 A Lagoon suite with great views of the lagoon. 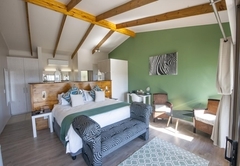 The suite has King Size beds, Tea and coffee station, aircon - heating system, DSTV, Mini Bar, ensuite bathroom with spa bath, twin showers and double vanity. Each suite has its own private deck. 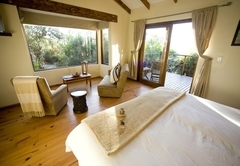 The suite is set back in the Fynbos with partial views. 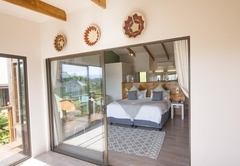 The suite has King Size beds, Tea and coffee station, aircon - heating system, DSTV, Mini Bar, ensuite bathroom with spa bath, twin showers and double vanity. The suite has its own private deck. 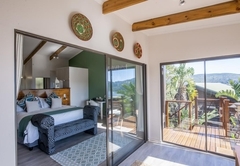 2 Bedrooms bathroom shared.The suite has King Size beds, Tea and coffee station, aircon - heating system, DSTV, Mini Bar, ensuite bathroom with spa bath, and double vanity.The suite has its own private deck.The main bedroom has great views of the lagoon. A large suite with small lounge. 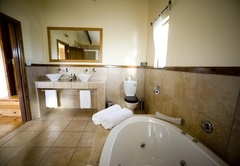 The suite has King Size beds, Tea and coffee station, aircon - heating system, DSTV, Mini Bar, ensuite bathroom with spa bath, double vanity. The suite has its own private deck. Partial views of the Lagoon. 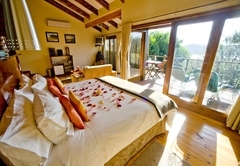 A luxury suite with a bird's eye view of the lagoon and mountains. 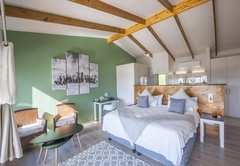 The suite has King Size beds, Tea and coffee station, aircon - heating system, DSTV, Mini Bar, ensuite bathroom, twin showers and double vanity. 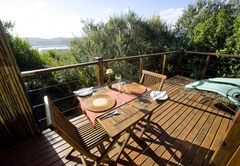 Each suite has its own private deck. It is the most beautiful place i've ever seen. We had the best time ever with so much wonderful memories in mind and on photos. We would love to go back next year for our anniversary. It really is stunning and everyone there is very nice. Thank you to all for a gr8 honeymoon. We'll never forget it. Decided to take a well deserved 'Me Time' getaway, The Elephant Hide seemed perfect to relax and chill at. 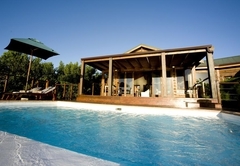 Stunning views of the lagoon, beautiful rooms, jet bath for relaxation, a shower with a view and such friendly staff. I felt totally at ease being on my own. It's really a tranquil getaway, and I will definitely be going back soon! 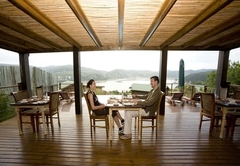 Response timeElephant Hide of Knysna Guest Lodge typically responds to requests in 5-10 minutes.